StrategyDriven Leadership Conversations focus on the values and behaviors characteristic of highly effective leaders. Complimenting the StrategyDriven Management & Leadership articles, these conversations examine the real world challenges managers face every day that aren’t easily solved with a new or redesigned process and instead demand the application of soft leadership skills to achieve a positive outcome. 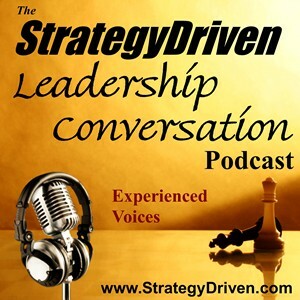 Thank you again for listening to the StrategyDriven Leadership Conversation podcast!